These batteries are designed to work with the Adel CB battery charger and CBI All in One DC UPS range of products. This series has been developed to complete the range of ADEL SYSTEM back up power products and includes items which can contribute to the quality of overall performance, reliability and safety of the uninterruptible power supply installation or battery bank. 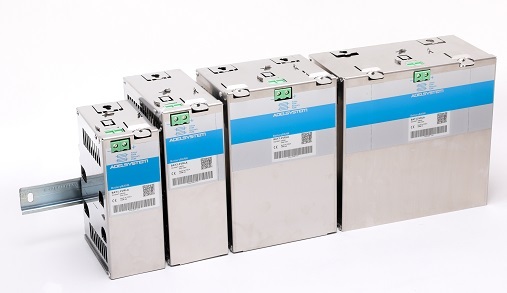 Battery Modules are available in the following sizes: 1.2 – 3 – 7.2 and 12Ah. They have been developed to enable battery applications to be carried out in safety. For this reason, they are fitted with fuse and terminal vlock and they are available with DIN rail or base mounting aluminium carriers. 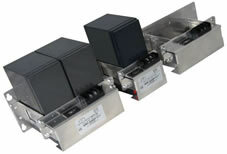 The second generation of ultra-compact Battery Holders, for VRLA and LI-Ion Batteries. The product can be DIN rail mounted or backboard mounted in all sizes, except the 12Ah variant which is only suitable for backboard mounting. The steel enclosure offers high battery protection, a minimum encumbrance on the DIN Rail. The Small VRLA are paired with the Adel CBI series of DCUPS for constant monitoring of the battery status and security of the DC load provision. Available in 24V only.